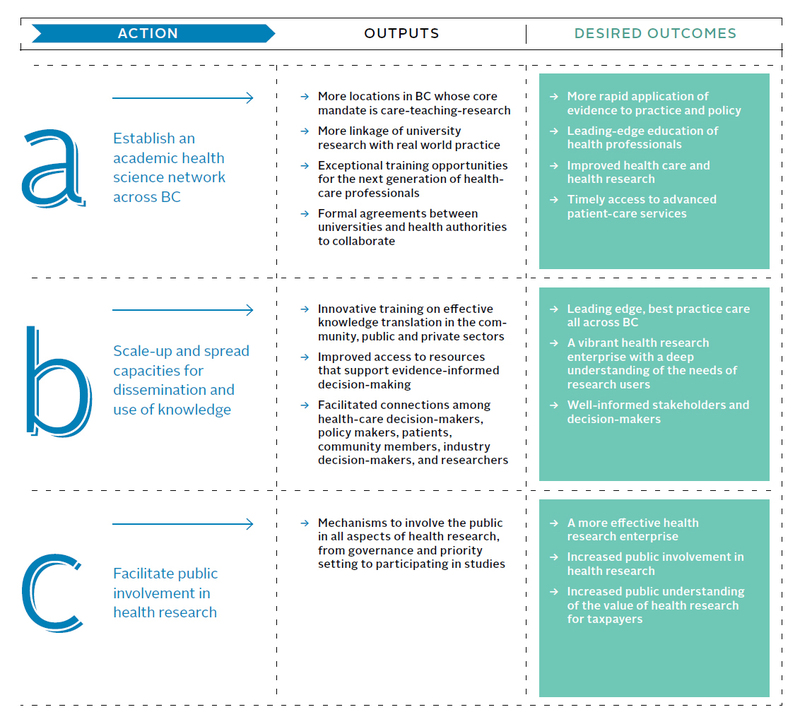 Health research priorities have traditionally been set by individual researchers and research funders. But the users of health research in the public and private sectors often have different research priorities as well as expertise and unique perspectives that can enhance the research process as well as its results. We need to encourage partnerships among research producers and research users, providing support for them to create new knowledge and use it to improve health. The pay-offs from these new partnerships range from increased rigour in health system improvements to more real world input to research. Working together, we can advance in many areas — including promoting health and preventing disease for British Columbians, shifting to more patient-centred care, strengthening the interfaces among community, primary and specialist care, and enhancing market pull for “made-in-BC” technologies.